Experience the enchanted isles of the Galápagos and discover its exotic and intriguing array of wildlife not found anywhere else in the world, with Silversea Expeditions' round-trip voyages, departing from Baltra, Galápagos. 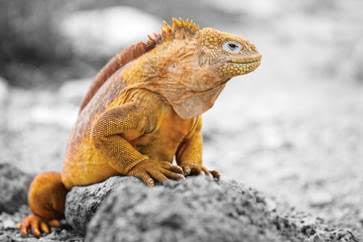 With two 7-day itinerary options available all year round, aboard the ultra-luxurious Silver Galapagos, each showcases the highlights and unexpected treasures of this unique destination. Silversea Expeditions' Galápagos itineraries offer guests the opportunity to: climb Prince Philip's Steps through a thriving seabird colony; venture through natural lava tunnels, snorkel in sparkling waters brimming with colourful creatures; or take a Zodiac along the extraordinary Galápagos coastline. Silver Privilege fares start from AU$9,350per person, based on double occupancy. Fare based on V8637. As part of Silversea's Early Booking Bonus, guests aboard Galápagos voyages departing from November 2016 to December 2017, will receive 10% off the published fare, when booked and paid in full before 30 June 2016. Terms and Conditions apply.